Iron on patch designed by @teawulfe and inspired by Stranger Things "upsidedown" you might need two of these so that you can have one facing each way. This patch is designed to be displayed regular and upside down. 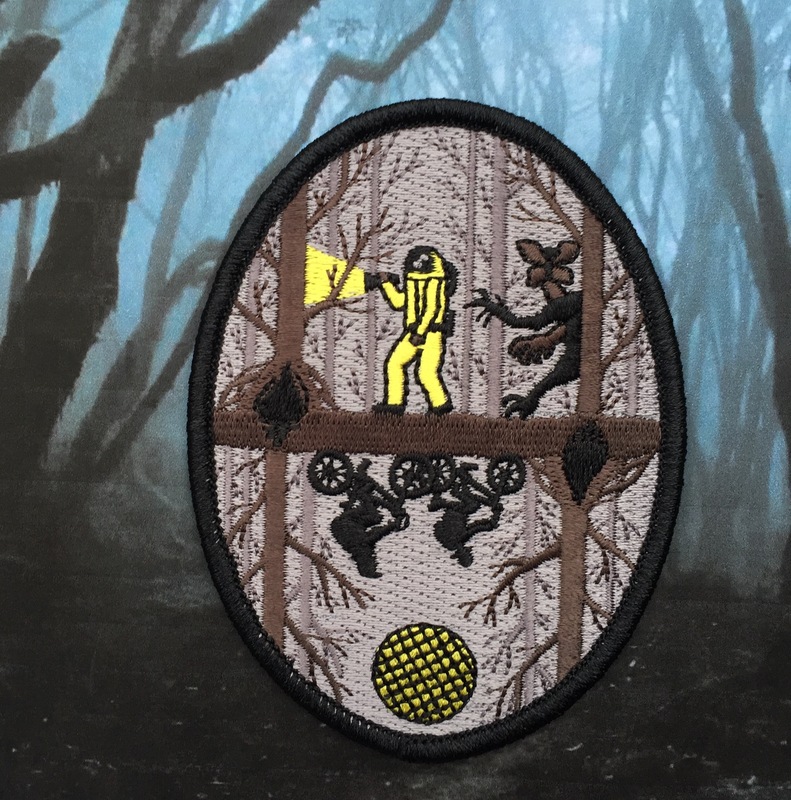 This patch was also featured in The Woods/November 2016 club package.